Add rustic charm to your home with this RedStone Wall Fireplace Mantel with 18 in. Infrared Quartz Electric Fireplace. 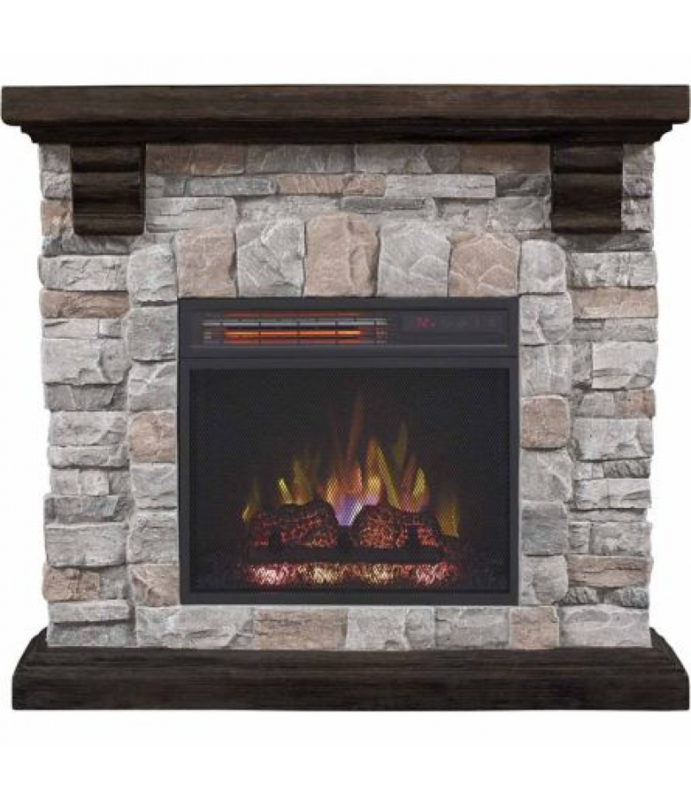 The body is engineered to look and feel like real stone, and is paired with a brushed dark pine top, base and c..
Add rustic charm to your home with this RedStone Wall Fireplace Mantel with 18 in. Infrared Quartz Electric Fireplace. The body is engineered to look and feel like real stone, and is paired with a brushed dark pine top, base and corbels. The infrared quartz electric fireplace provides supplemental zone heating for up to 1,000 square feet, while maintaining the natural humidity in the air.